When does a star become a legend? We’re so engulfed by supposedly ‘famous’ faces today that it’s rarely about true talent, so perhaps that’s why the global stardom achieved by the likes of Marilyn Monroe, Frank Sinatra, Elvis and of course Judy Garland is so fascinating. When Garland departed this world, following an overdose of sleeping pills at her London home in the summer of ’69, I was still a toddler in nappies. Never to see hear her sing live, never to watch her perform on stage – instead for me she was Dorothy and part of the perpetual Christmas tradition of childhood TV. However that changed this evening with the chance to see a glimpse of the real Judy; her flaws, her scars, her triumphs and the depths of her despair so cleverly performed that it would have been easy to believe at times that we were watching true life unfold. 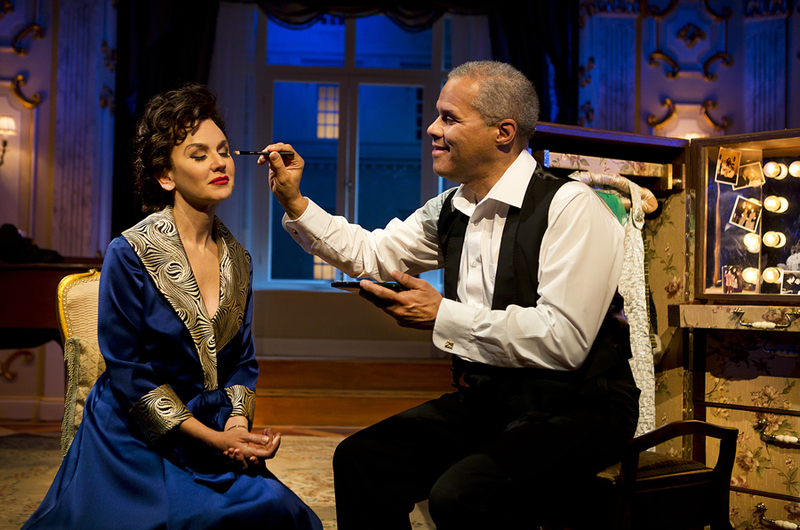 Peter Quliter’s fascinating play, End of the Rainbow, centres on a turbulent few weeks towards the end of Judy Garland’s life. As she wrangles with pills and booze she performs in yet another ‘come back’ tour. Her whirlwind romance with latest beau Mickey Deans sees her juggling with her public persona and the insecure girl inside who just needs to be loved and adored. Lisa Maxwell’s portrayal of Garland is outstanding. 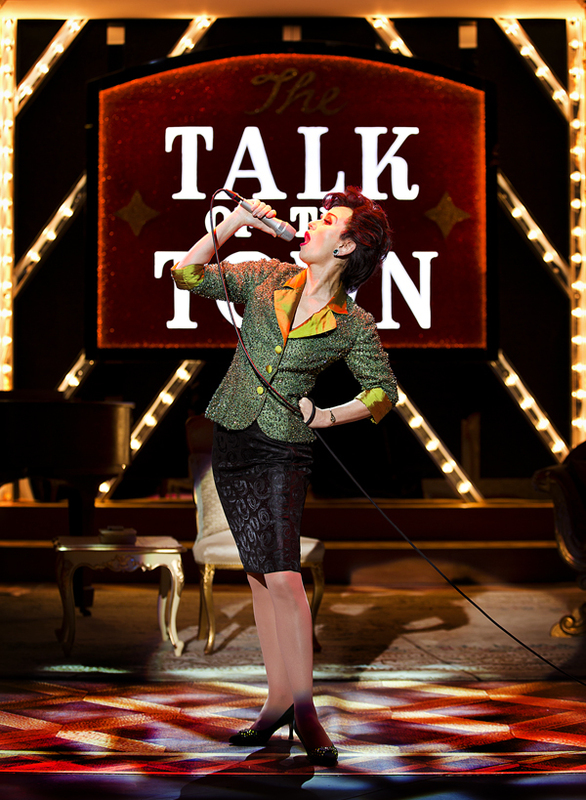 Her diminutive figure gives way to a charismatic and complex performance captivating every emotional swing imaginable and topped off with a singing voice that mimics the great star’s delivery of her hits very convincingly. Sam Attwater’s suave portrayal of fiancé Mickey Deans is equally convincing and it’s easy to imagine the PR nightmare that became his daily battle as Garland’s life unravelled. However this story is shared by three key characters and Anthony Chapman – Judy’s English, homosexual, piano accompanist and friend is brought skilfully to life by Gary Wilmot. Our empathy with his need to protect her, often through depriving her of what she thinks she needs, comes to a moving climax as he begs her to retreat to the coast where he will look after her but, sadly, she already has her finger firmly on the self-destruct button. Mention must be made of the stunning set. 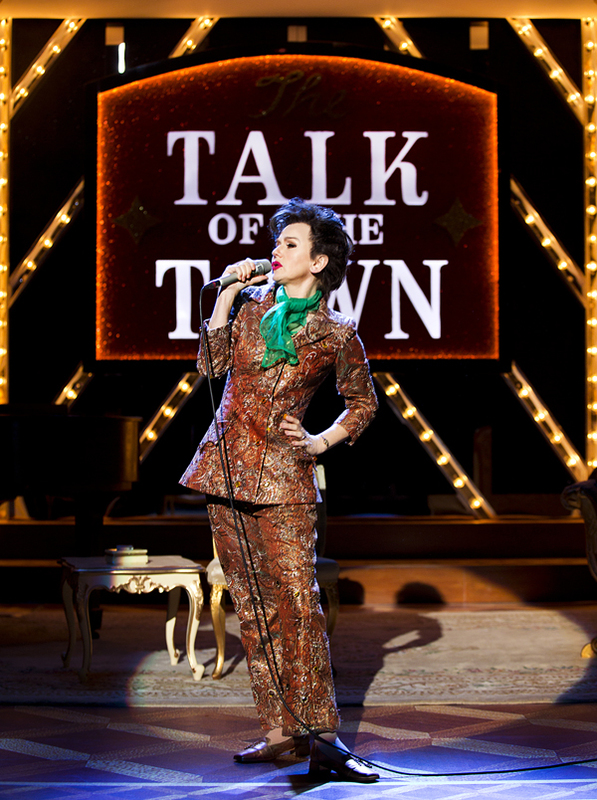 These star performances take place on an exquisitely dressed stage, cleverly switching from an elaborate London hotel suite to cabaret venue ‘The Talk Of The Town’. This tour is destined to sell out so if you can’t make it to Colchester this week check the remaining tour dates with include Bury’s Theatre Royal later in the year.